Smoking Alcohol- A Dangerous New Trend. Smoking alcohol has regained some popularity lately and it is a cause for concern. 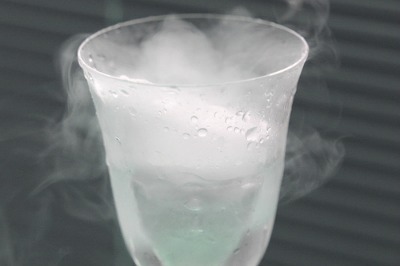 The act itself refers to vaporizing alcohol and inhaling it. Smoking alcohol was first popularized in 2004 with the introduction of the AWOL (Alcohol Without Liquid) device, which has been banned in many communities. In 2013, the practice of smoking alcohol has again grown in popularity and is now a significant concern from medical experts due to the health risks and addictive qualities. The cause for concern centers on the method by which intoxication, and potential poisoning, may occur. As the alcohol vapor is inhaled, it bypasses the stomach and liver and travels from the lungs directly to the brain and into the bloodstream, leading to rapid alcohol intoxication. Because the alcohol avoids being metabolized by the liver, it enters the blood stream and the brain with greater strength and a more potent effect. Unlike typical alcohol consumption from drinking, the body can’t limit the quantity of intoxicants. When a person drinks alcohol and becomes intoxicated, vomiting can occur. This is the body’s natural way of preventing an overdose. However, when alcohol bypasses the stomach and liver– as in ‘smoking’ alcohol– there is no effective way to get rid of it. Once the brain has absorbed the ethanol, there is no way to expel it from the body. As such, over indulgence can lead to poisoning and serious damage to the body.